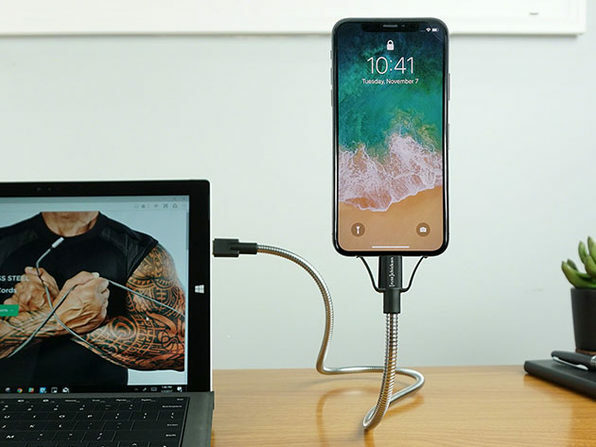 BOBINE FLEX is a case-compatible cable, dock, tripod, and stand rolled together into the world's most flexible iPhone dock for all of your car, home, and office needs. WIth BOBINE, alerts and reminders can be easily seen without taking your eyes off the road. 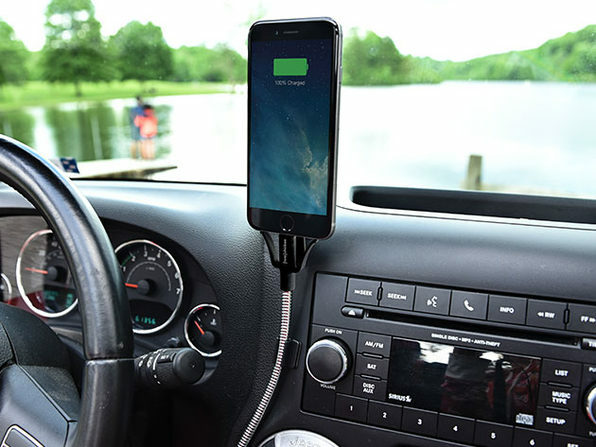 You can finally drive in style with your smartphone mounted perfectly for using GPS maps, hands-free calling, and audio streaming. 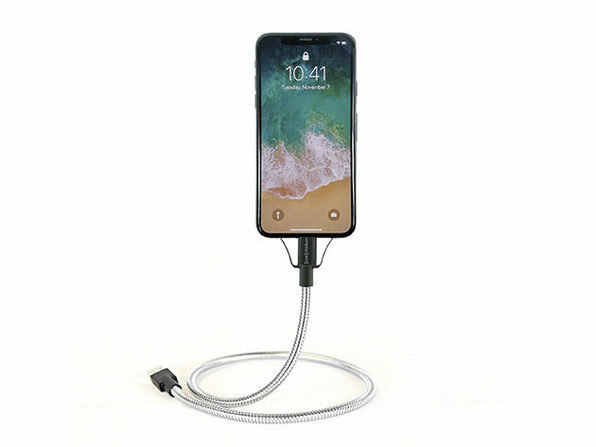 BOBINE FLEX includes everything you need for the perfect car mount that can be flexed into any position.